Moreton Paddox is a small, unique rural settlement in Warwickshire which replaced a large country house of the same name. It is now known for its ambitious contemporary architecture. Many of the original plots & properties would have been cutting edge at the time of construction. The site of Ghost House sits at the end of the former main drive and is partially sunken into the ground and bounded on three sides by retaining walls. The design seeks to be of exceptional quality and innovative design as laid out in the NPPF Para 55. Whilst the consented scheme by Baynes & Co. passed these tests the client felt that there was scope to push the design further. 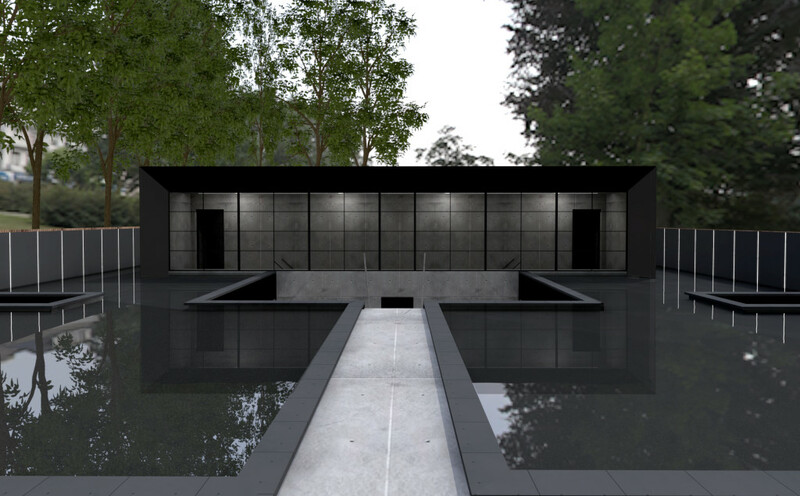 Working within the plan form, massing and elevation design of the 2015 consent we have made a number of aesthetic refinements to the house to improve its visual appearance and interior design. 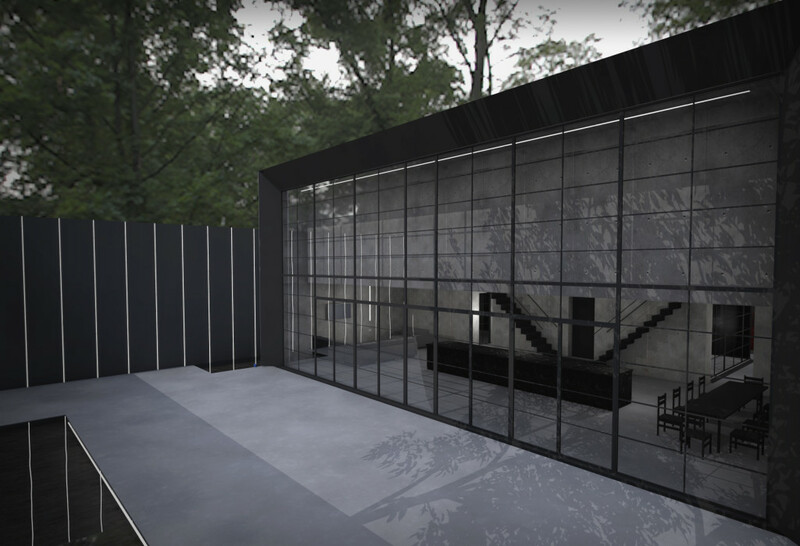 In order to be truly exceptional we have developed the design of Ghost House to be constructed entirely from in-situ concrete which is exposed on all internal and external walls. 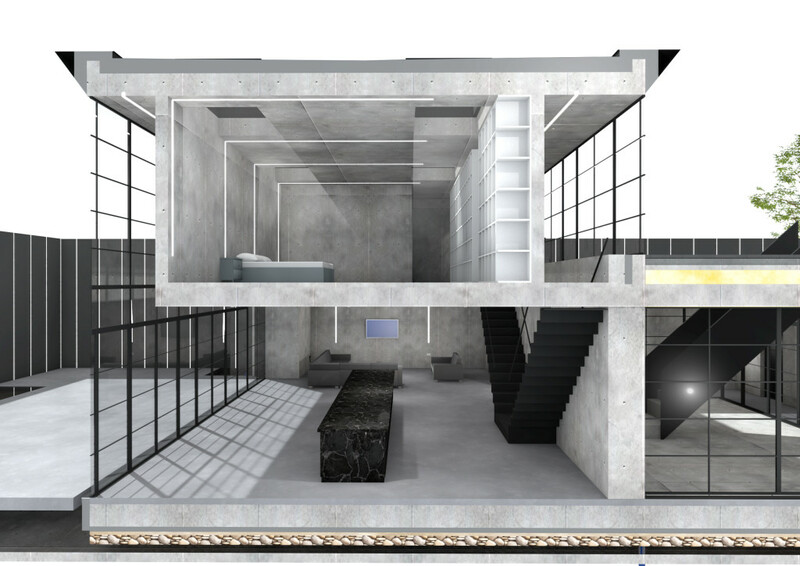 Experienced Structural Engineers, Design2e have been commissioned to undertake the concrete design and detailing. 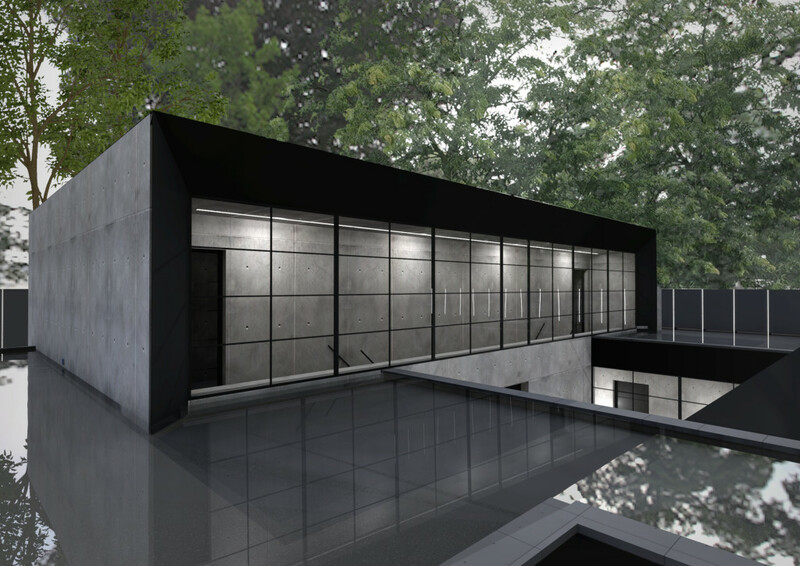 The client loves concrete and has challenged the design team to deliver one of only a handful of in-situ concrete houses within the UK. Exposed concrete interiors were pioneered by Tadao Ando who is internationally respected for his work with concrete, and the client’s ambition matches these high standards. A number of architectural devices have been used within the site to further enhance the scheme, from unifying boundaries to the large reflecting pools that span across roof of the lower ground floor. To ensure that these refinements to the design were of the highest quality MADE were invited to undertake a further design review which endorsed the changes.